Janet Williams and husband Simon bought their property 'The Lighthouse' back in 2007. "But we are constantly upgrading both the property and the business so it still feels like a new venture for us" laughs Janet. Formerly a private residence with stables and 30 acres of beautiful parkland, the couple have managed the renovation project one step at a time. In the first year of the business their focus was on the accommodation; converting the stables into bedrooms and the barn into a family-friendly space. As the second year rolled around they opened up a Café, which has recently been taken over by a close friend and is open daily for breakfast, lunch and afternoon teas and caters for those with special dietary requirements (including vegetarians and those with food intolerances to gluten or dairy). With the addition of the conference room in 2010, The Lighthouse's overall business direction has changed significantly, and for most of the year there are on average six events per week, from writing retreats and yoga classes to first-aid training courses during weekdays. "This year we made one of our biggest (and best) business decisions in switching over to freetobook as our online booking system and channel manager. The dramatic increase in our room bookings speak for themselves, our February numbers are double what they have been over the last four years and having just done the analysis for March, it has been triple! 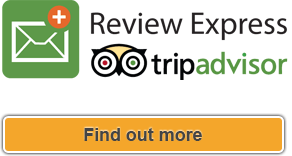 So we definitely wanted to share how delighted we are with our amazing new booking system." "We first starting using freetobook around one year ago and also signed up for the channel manager for booking.com. Our main catchment area is around one hour's journey from here (Somerset.) We do find our bookings tend to be for weekends and made just a couple of days before arrival. Our guests are no doubt weather watching!" 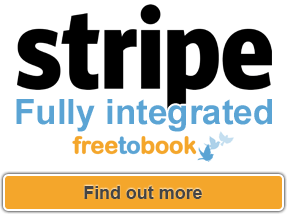 "Most importantly for us as a small, family-run business, we feel the whole freetobook team really understand what we need and are experienced in the industry. They are constantly upgrading the systems, staying current and truly have their finger on the pulse." With an older property of this size and with the additional 30 acres of land to look after, owners Janet and Simon have the help of Rowena and Jonathan, a couple who look after front of house and the extensive gardens. Housekeeping and Maintenance staff support the core team, and they are currently looking for someone to join the team due to things being a lot busier. "Apart from the increase in online bookings, there are a lot of national businesses in the local area, and we have also started tapping into the steady stream of visiting consultants who work for these companies. This had been an unforeseen target market for us," says Janet. So what does the rest of the year ahead hold for The Lighthouse? "There is a focus now on making our facilities increasingly family friendly. We are already very popular with families due to our Family Rooms (sleeping 3) and Family Suites (sleeping 5). which are hard to come by. We are also in easy reach of the Longleat Safari and Adventure Park.There are plans afoot this spring to design a children's garden, and we have already planted a live willow tunnel and dome for them to play in. 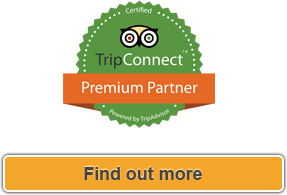 We are also just about to roll out our re-designed website, but overall what is most important to all of us is building on our relationships with former and would-be guests, always looking to improve our service and come up with new ideas and promotions so that guests feel drawn to visiting this beautiful part of the world." "This year we made one of our biggest (and best) business decisions in switching over to freetobook as our online booking system and channel manager..."